For a believer in Christ, we should daily say: Search Me O God! Here are four things I hope you examine on a regular basis that could save you lots of grief. Examine where you park your car to see if it is dripping oil or other fluids. It could save you hundreds of dollars in repair. Examine all leftovers that have been in the refrigerator. Look for a beard that wasn’t there before as this could save you from getting very sick. Examine your bill at the restaurant to make sure you aren’t being overcharged because no one likes to pay more than they should. Examine your life. The great cry of a true believers heart should be for self examination: Go through my whole life! When is the last time you looked deeply into your life? When is the last time you said, Search me O God? I find it very interesting that there are 1022 questions in the New Testament. Those questions are there to cause us to think about our life and to reflect about what is written. Peter’s life was greatly affected when Jesus asked him basically the same question three times in a row in John 21. Jesus asked him if he loved Him. Not just once but three times! This caused Peter to have to examine his life and motivation. The end result of Peter’s self reflection was words from Jesus about the life and death Peter would experience. I find it interesting that so many people go through life without ever slowing down enough to reflect upon their spiritual condition. Because of this, many people repeat the same scenario over and over, replaying the scripts from their childhood or their previous mistakes without even the self awareness to realize it. Psalms 139:23 “Search me, O God and know my heart; test me and know my anxious thoughts. See if there is any offensive way in me, and lead me in the way everlasting.” This verse tells us that the Holy Spirit will assist us in the self examination of our lives and assist us by leading us to change. Our heart is so easily distracted and divided and full of anxiety. Sometimes we aren’t aware of the offensive ways we have. So we need a means of allowing this to happen. Psalm 119:59 “I have considered my ways and have turned my steps to your statutes.” Once we consider our ways, it is our responsibility to turn our steps to become more like Jesus in our actions. Here are four habits that you can put into your life that are live changing. Make church attendance a habit. Hopefully the sermons and the words that are sung will cause you to examine your life and reflect upon God and relate to your life. In church we are reminded to say the words of the psalmist: Search me o God! Connect with other believers to share life experiences. In those moments you can share how God has searched your heart and hear what others have done. Make time in your devotional life to reflect upon your own life and what God is saying. Sometimes we need to be still and learn how to listen. Pray Psalm 139:23 on a daily basis. Keep a journal. Examine every day by writing down your prayers, your feelings, your experiences, and even your failures. 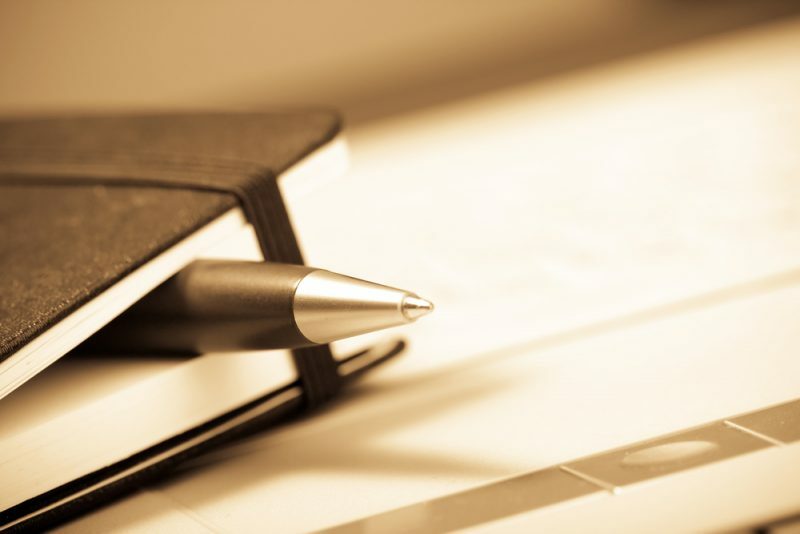 The power of a journal comes when you reread it and you may see certain patterns emerge. You will see how God has truly come through for you. You will live the examined life. If you have never kept a journal. It’s easy. Write down today’s date and then start off with the word “yesterday”. Write about all that happened yesterday and how you felt about it, then write down your prayers and concerns to God about all that happened.